If you live in a tiny home or apartment, the idea of hosting Thanksgiving dinner can seem like a daunting task. A few hundred square feet, no dining furniture, small appliances and limited seating can definitely present some challenges. But if you have a plan, you can throw a successful, delicious feast, even in a tiny house or micro apartment. Here’s how to do it. 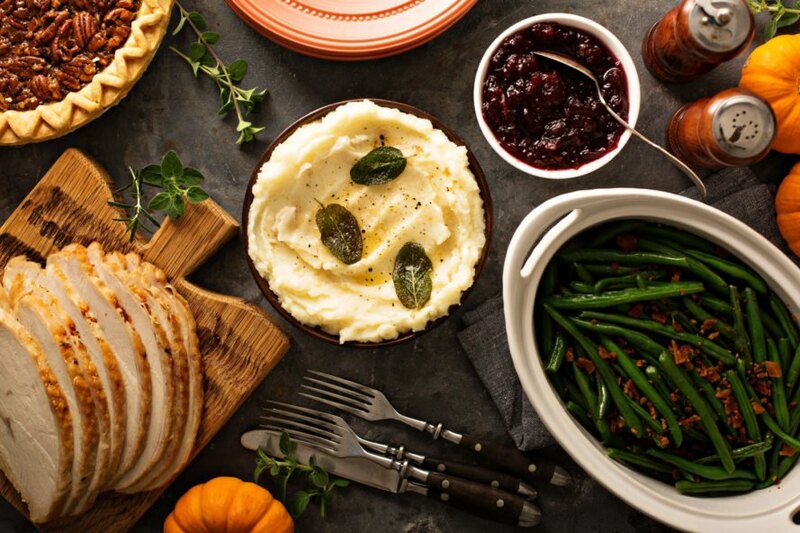 The items you need for your Thanksgiving dinner can overwhelm your small space, so you want to plan ahead and develop a strategy for your shopping and cooking. Private chef Amanda Elliott says to keep things simple and stick to four homemade dishes, including the turkey. Make a list of all the ingredients you will need for your menu, and think about your refrigerator and pantry space. If you have a large oven, the turkey is going to take up this space for most of the hours before the meal. Choose side dishes that you can make ahead of time and reheat just before the dinner or ones that you can prepare on the stove. You can also choose menu items that can be served at room temperature, like salad. If you have a small oven, you can purchase a prepared turkey from a local restaurant or grocery store to avoid cooking the turkey yourself. There are amazing options out there, just be sure to order it well in advance if that’s the route you want to take. If you have your heart set on making your own turkey, you can cook it outside in a deep fryer or on the barbecue, so you can use your oven for other things. If you would like to have more than four items on your Thanksgiving menu, ask your guests for help. There is no shame in requesting assistance with your menu items. Consider asking one guest to bring a dessert and another to bring an appetizer. Just remember to be specific about what you need, and avoid saying “bring whatever you want.” You don’t want to end up with multiple green bean casseroles or macaroni and cheese dishes. When it comes to serving the food, make your kitchen counters and stove a buffet, and let guests serve themselves. If you don’t have a large dining table and a lot of seating, don’t panic. A casual dinner where guests can eat wherever they please is just fine. People can sit on the couch and the floor — just be sure to provide guests with trays to hold their plates, cutlery and glasses. 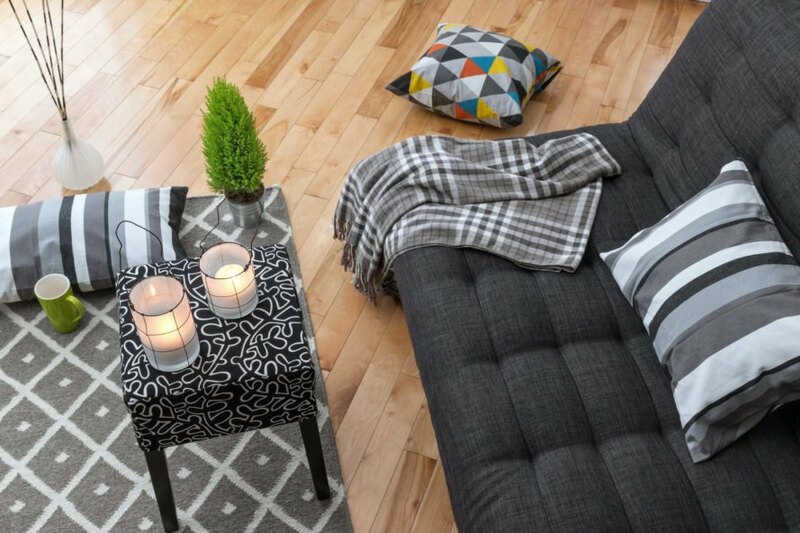 Use things like step stools, ottomans, lawn chairs, desk chairs and pillows for extra seating. If you still don’t have enough tables or chairs, you can try renting some from a local party store. Be sure to remove all of the clutter from the space. Clear off all flat surfaces, so people have a place to put their drinks. If you want to do some decorating for the occasion, one statement piece with a couple of decorative elements works well for the festivities without adding clutter. Have a plan for coats and bags. The easiest solution is to keep them all in the bedroom, so your guests aren’t taking up valuable living room space with their bulky outerwear. When you send out invitations, ask guests to bring their own containers to take some food home at the end of the celebration. This will prevent you from getting sick of leftovers, and it keeps food waste to a minimum. Consider asking your guests to help take care of their finished plates. 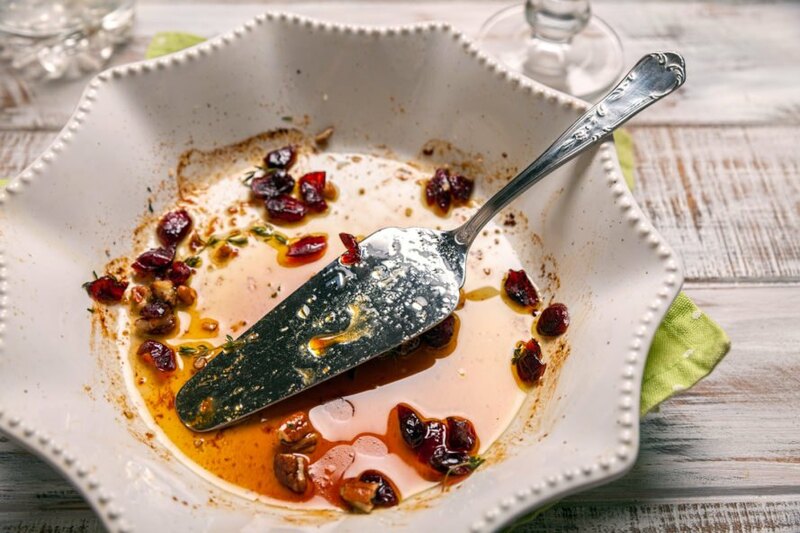 You can do the scrubbing later, but getting help with clearing the tables and throwing away the trash will quickly free up space and give you a little time to make room in your belly for dessert. Experts also agree that the key to keeping your sanity in a tiny home at Thanksgiving is to clean as you go. While you are preparing your food, tidy up the work space throughout the process, and don’t let dishes pile up in the sink. If cleaning as you cook doesn’t work for you, hide the mess by piling all of your dirty dishes in the bathtub and draw the curtain. Then, clean everything after your guests leave. Finally, don’t stress! Sit back, relax and enjoy the day. If you are super stressed, your guests aren’t going to have any fun, either. Put together your plan of attack, and if things don’t go perfectly, it’s okay. Just smile and enjoy some red wine (white wine takes up too much space in the fridge!). While the idea of hosting Thanksgiving dinner in a tiny house or apartment seems impossible, it can actually be easy and fun. Plan the menu ahead of time, and keep it simple. Don't be afraid to ask guests to bring specific dishes that fit with the plan. Use pillows, step stools or even upside-down buckets for extra seats. Ask everyone to pitch in with cleaning. Also, have guests bring containers to take leftovers home. Most importantly, remain calm — guests will only have fun if you do!